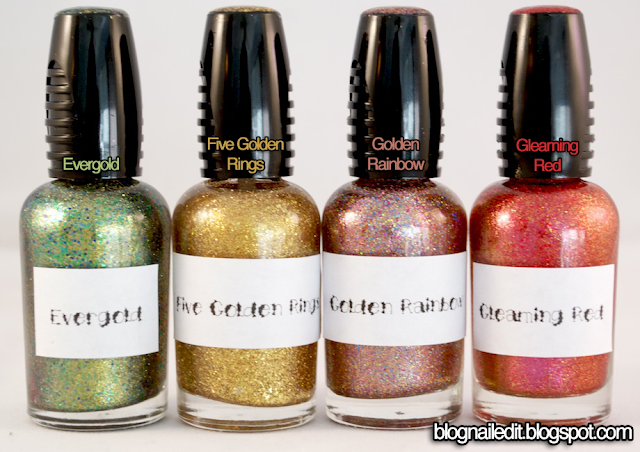 Recently, as in within the past month, I've found myself buying a lot of glitter polishes. A lot. So I thought I'd show off my most recent purchases. Don't be alarmed...and consider wearing sunglasses for the massive amounts of glitter you're about to see. There are so many, my poor light tent couldn't hold them all without showing the white sides for light. Luckily, Photoshop helped me clean that up for your viewing pleasure. The accumulated collection over the past month. 3 of 4 of the Nicole by OPI's Holiday Glitter 2011 collection. I love them all! 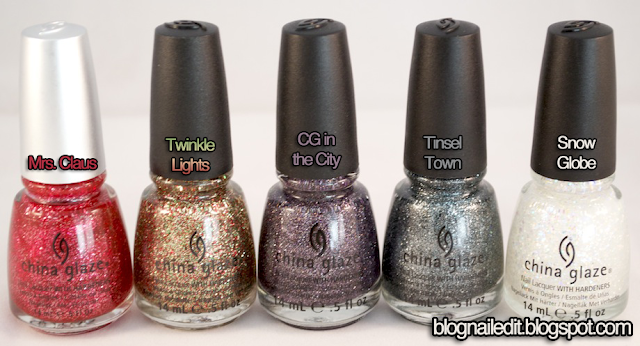 I realize now looking at the photos that not all of these count as glitters, but more metallics, but they still bring joy and sparkle to my life, so they can stay. Most of these colors were bought online at Head2ToeBeauty.com. 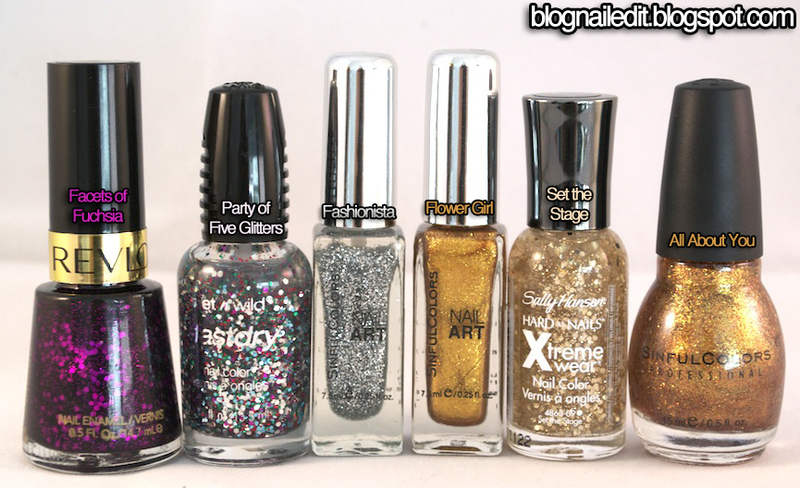 The Gold set was purchased from My Nail Graffiti's Amber and Dustin, and the others were bought in stores at Target, Rite Aid or Walgreens. 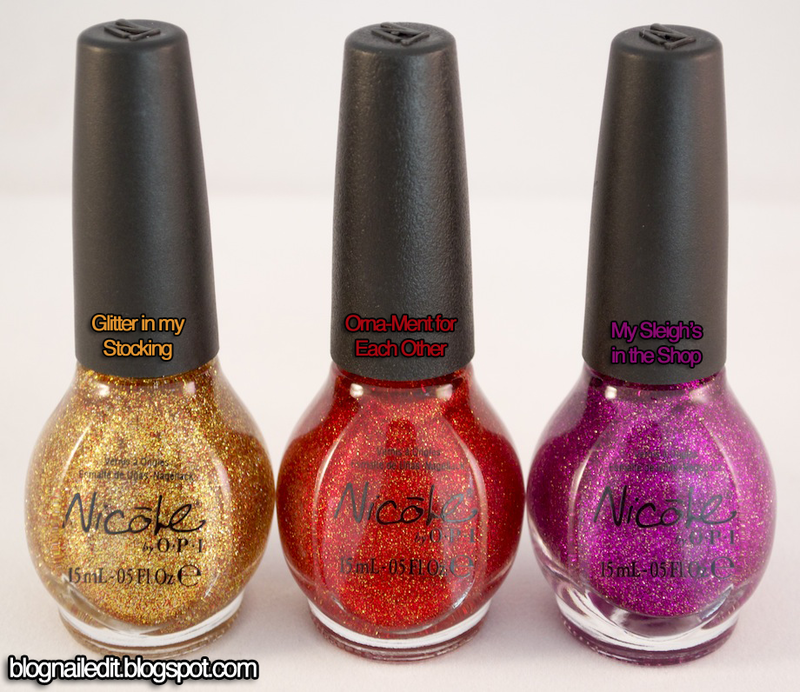 My lovely sister sent me the Nicole by OPIs. I couldn't find them out here in Colorado, but her Southern California Targets were much more well stocked.